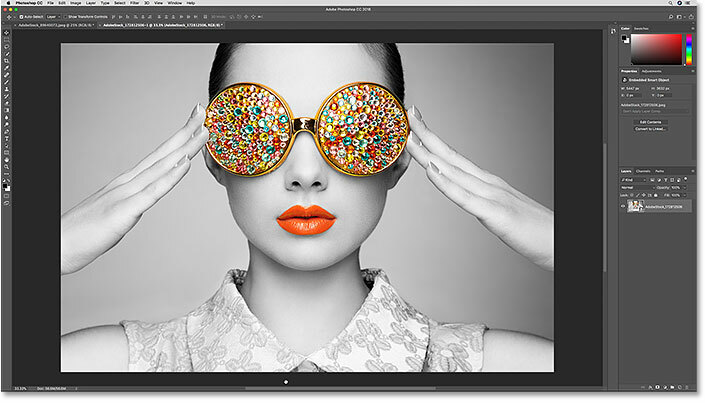 In this tutorial, I show you how to create smart objects in Photoshop! 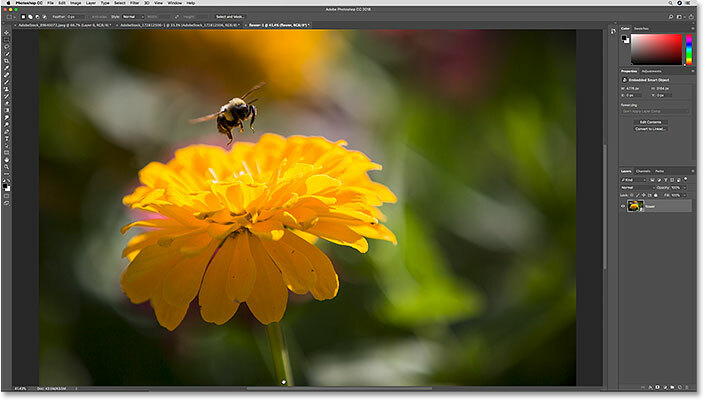 You'll learn how to open a new image into Photoshop as a smart object, how to convert an existing layer into a smart object, and how to place an image as a smart object into your Photoshop document. We'll also look at how to open raw files as smart objects, both from within Photoshop's Camera Raw plugin and from Adobe Lightroom. 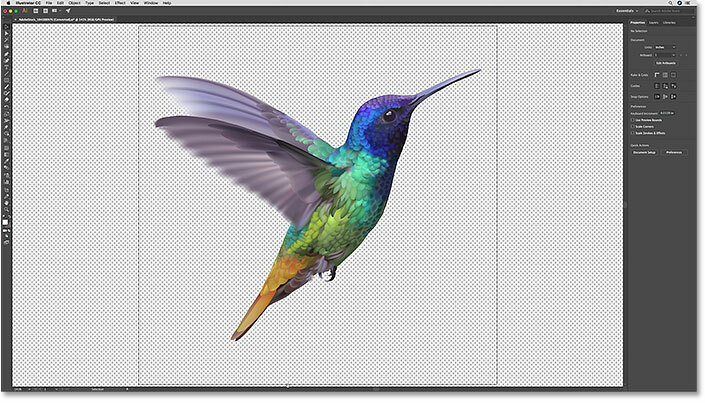 And we'll even learn how to place Adobe Illustrator files directly into Photoshop as smart objects! A smart object is a container that holds the contents of a layer. The container protects the contents inside it from harm. We can scale and resize the container, apply transformations, warps and distortions, and even apply Photoshop's filters to a smart object, all without any loss in quality and without making a single permanent change to the layer inside it. We can make multiple copies of a smart object, all displaying the same content, and then edit or even replace the content and have our changes instantly appear in each and every copy. This makes smart objects perfect for creating reusable templates! We'll look at different ways to use smart objects throughout this series of tutorials. 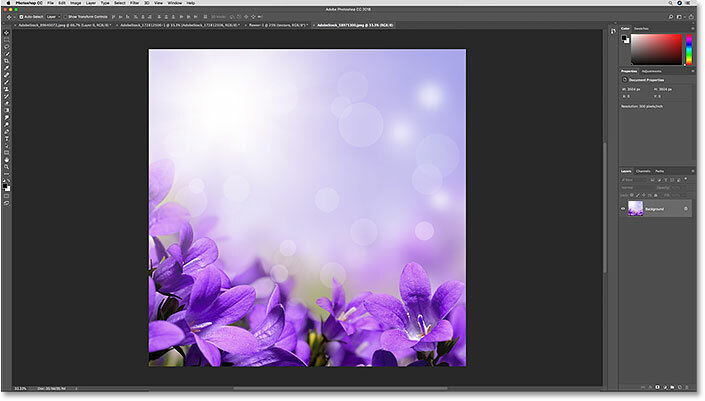 In this first tutorial, we'll learn how to create smart objects in Photoshop. 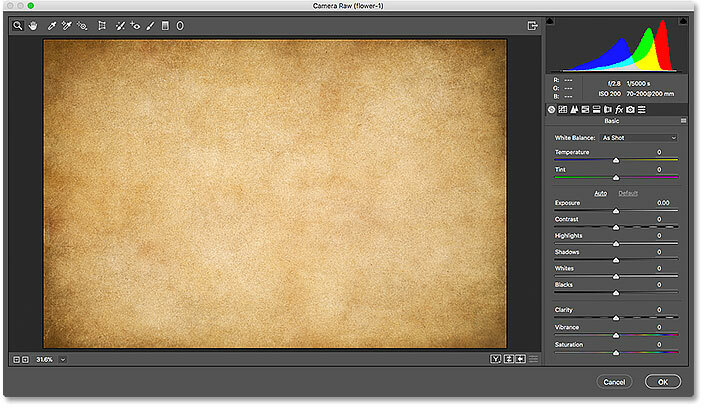 I'll be using Photoshop CC but you can also follow along with Photoshop CS6. Let's get started! 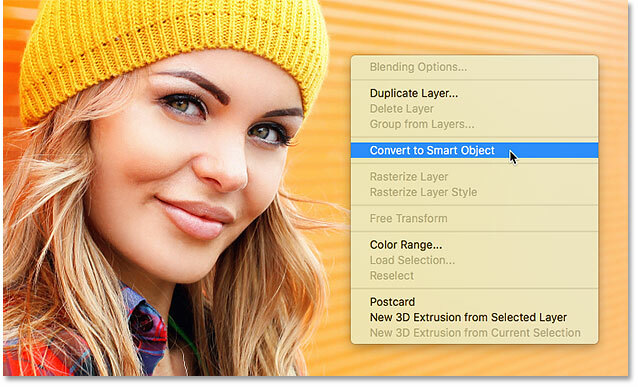 Choosing "Convert to Smart Object" in the Layers panel menu. Right-click (Win) / Control-click (Mac) on the layer. Choose "Convert to Smart Object" from the list. Make sure you have a selection tool active. Right-click (Win) / Control-click (Mac) and choose "Convert to Smart Object". 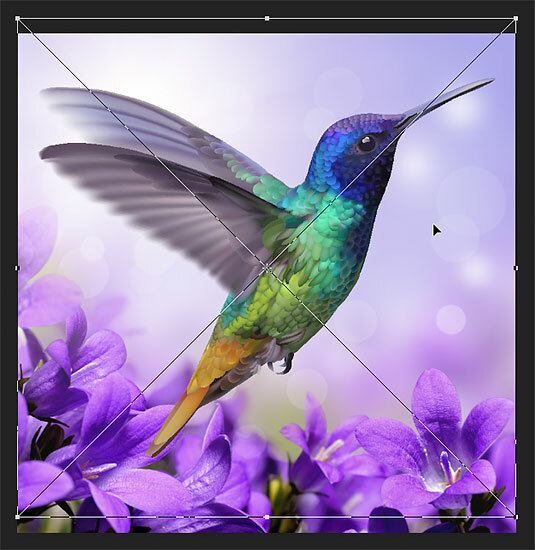 Selecting the photo to open as a smart object. 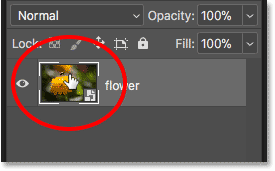 Opening an image creates a new Photoshop document. Photo credit: Adobe Stock. The image opens as a smart object. The raw file opens in Camera Raw. Turning "Open Image" into "Open Object"
The standard Open Image button. Don't click this. Hold Shift to turn the Open Image button into Open Object. 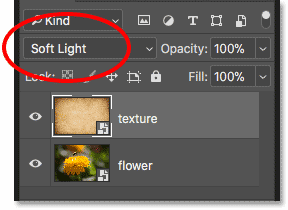 The raw file opens in Photoshop. 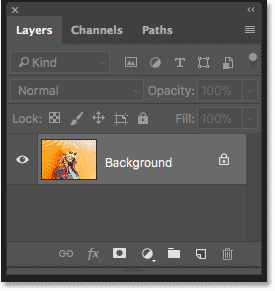 The Layers panel showing the image as a smart object. 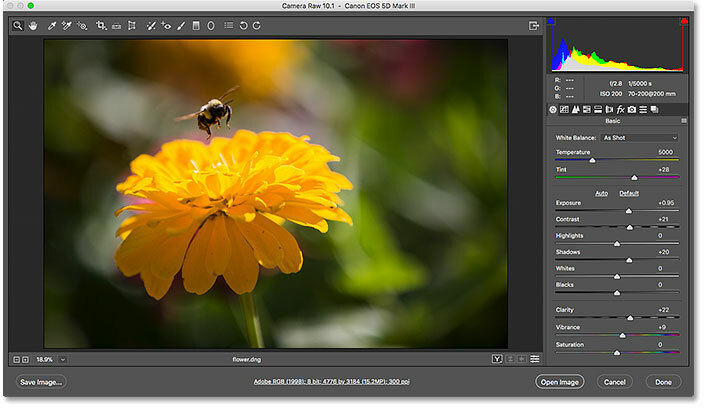 The full power of Camera Raw is always available with the raw file opened as a smart object. Go to File > Place Embedded (CC) or Place (CS6). 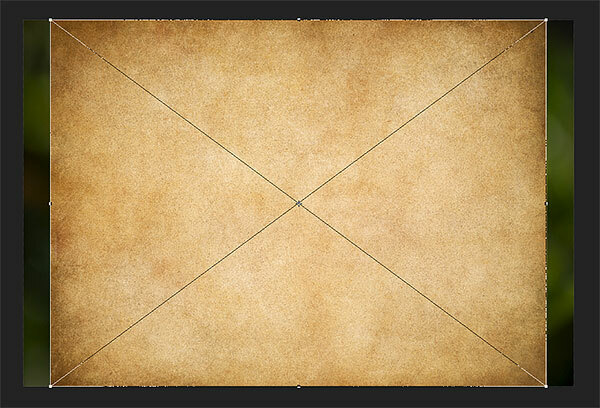 Selecting the image to place into the document. 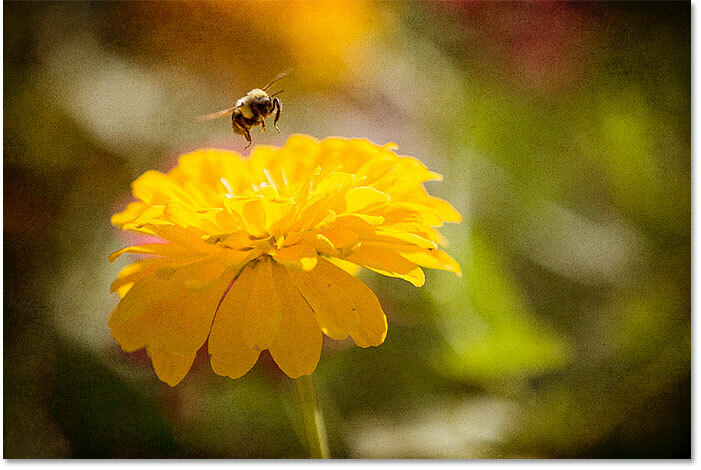 The texture image doesn't completely cover the flower image below it. 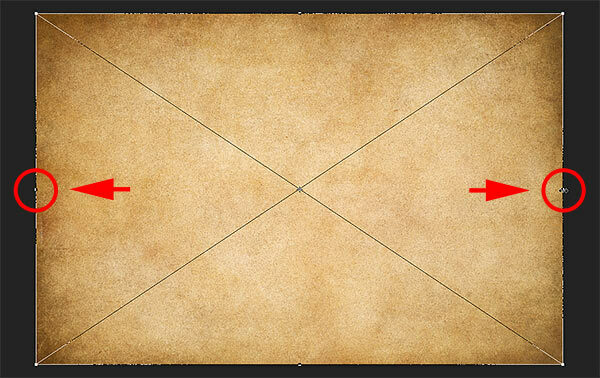 Holding Alt (Win) / Option (Mac) and dragging the side handles outward. The texture and the photo below it are both smart objects. Changing the blend mode of the texture smart object. The result after changing the blend mode of the texture smart object. Let's say that I like the texture itself but I don't like its color. I'd rather have a grayscale version of the texture so I can keep the original colors in the photo below it. 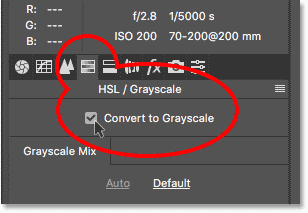 The best way to convert a color image to grayscale (black and white) in Photoshop is by using Camera Raw. 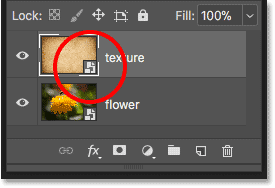 But because my texture smart object is holding a JPEG image, not a raw file, I can't just double-click on its thumbnail to open it in Camera Raw. The preview of what the grayscale version looks like. The result after converting the texture to grayscale. 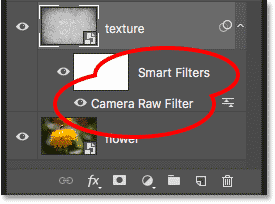 Smart filters are listed below the smart object. Clicking the visibility icon to turn the Camera Raw Filter off. Turning the smart filter off instantly restored the texture's original color. 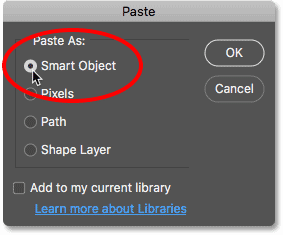 Finally, let's learn how to paste an Adobe Illustrator file into a Photoshop document as a smart object. 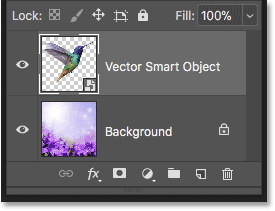 This will not only keep the original vector shapes intact, but it will also allow us to reopen the file back into Illustrator if we need to make changes, and then have those changes instantly update in Photoshop. Vector artwork open in Illustrator. Credit: Adobe Stock. 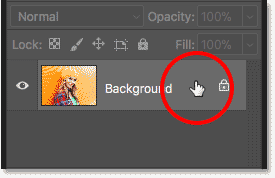 In Illustrator, going to Select > All. The Photoshop document where the Illustrator file is headed. Photo credit: Adobe Stock. In Photoshop, going to Edit > Paste. Scale and position the artwork if needed. The vector art has been placed into the Photoshop document. 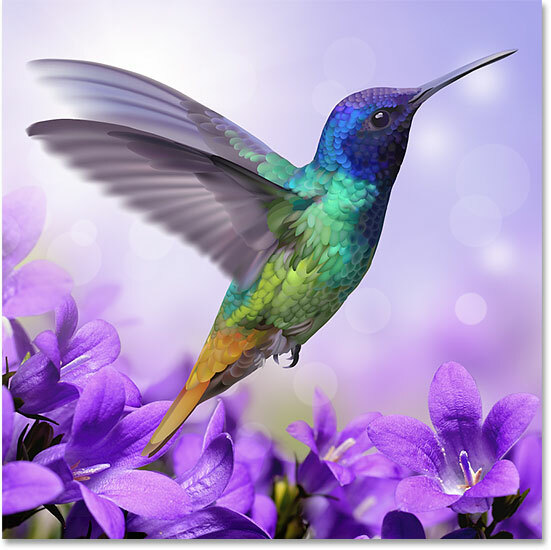 The Illustrator artwork appears in a vector smart object. And there we have it! 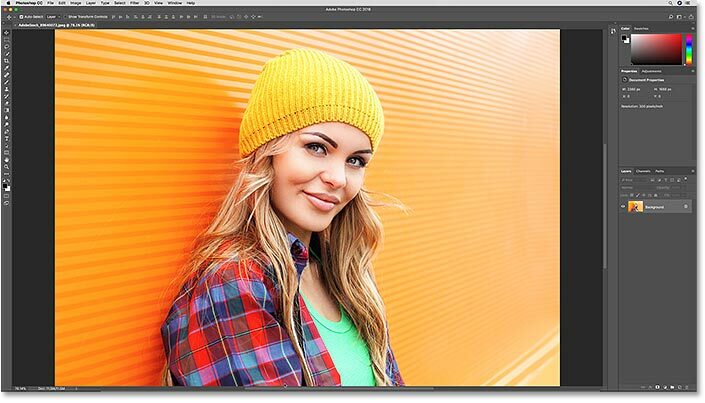 That's how to open, convert and place your images, raw files and even Illustrator files into Photoshop as editable, non-destructive smart objects! For more on smart objects, learn how to scale and resize images without losing quality, and how smart objects make it easy to transform and distort type! Or visit our Photoshop Basics section for more tutorials!